Spacious bedroom- Walk out to the deck to relax in the hot tub. Treetop Oasis #56 is rated 4.2 out of 5 by 13. Rated 4 out of 5 by CathyJ from Outstanding views! 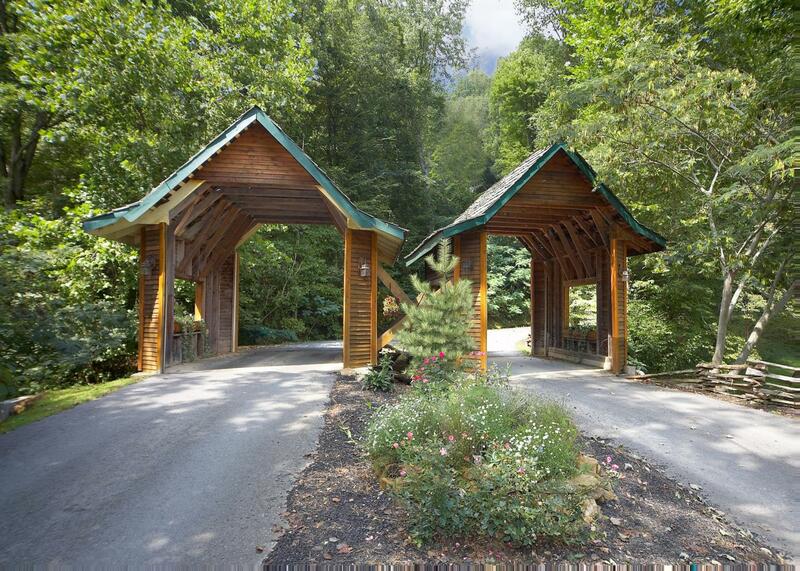 Our adult children, their spouses, my husband & I stayed here (Treetop Oasis, #56) to attend an on-site wedding at their lodge (a beautiful venue!). The view from our very cozy, spacious "cabin" was nothing short of breathtaking! The deck (& its huge hot tub) and the kitchen table (which was situated with large viewing windows on 2 sides) quickly became favorite gathering spots, as did the reduced-size pool table upstairs. There were a few minor maintenance issues needing attention during our stay, but the office was quick to get someone up to see to them. Also, the kitchen was somewhat ill-equipped (somewhat short on dishes, esp glasses & cups, & no bottle openers, and the kitchen chairs were rather uncomfortable), but overall, we were very pleased, & truly enjoyed our stay. We look forward to a return visit! Rated 4 out of 5 by Avisek from Great view, good interior, amenities We visited Oct 2016 with 3 friends and families, we had great fun. The bed rooms were spacious and well structured and use of overall space, full kitchen. Bathrooms were clean, Jacuzzi was fun. Negative feedback - 1. the grill was charcoal based but it had some holes and need improvement. 2. There was water outage during one afternoon and we had to follow up multiple times, The problem eventually solved the next day. It will be great if management is prompt and takes more faster action for these issues. Rated 5 out of 5 by Slinks from Amazing place My boyfriend and another couple stayed here beginning of May and it was just amazing! The pictures they show are to the tee. 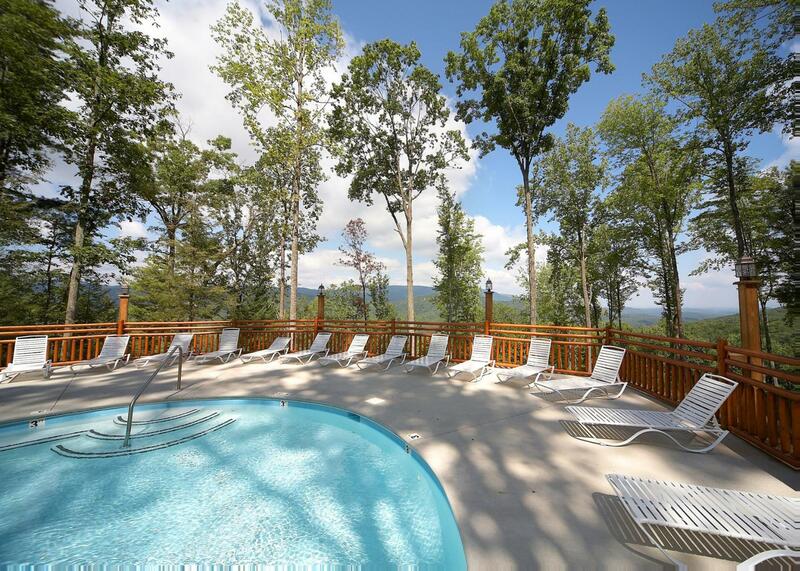 It is very clean and spacious and you have views for days. I literally loved this place and never wanted to leave. If I had to say anything negative about it it would only be that there is a drip in the master bedroom shower that drove us crazy but we just closed the bathroom door. Rated 5 out of 5 by BryanW from Stunning View We met a group of friends here and really enjoyed the view. 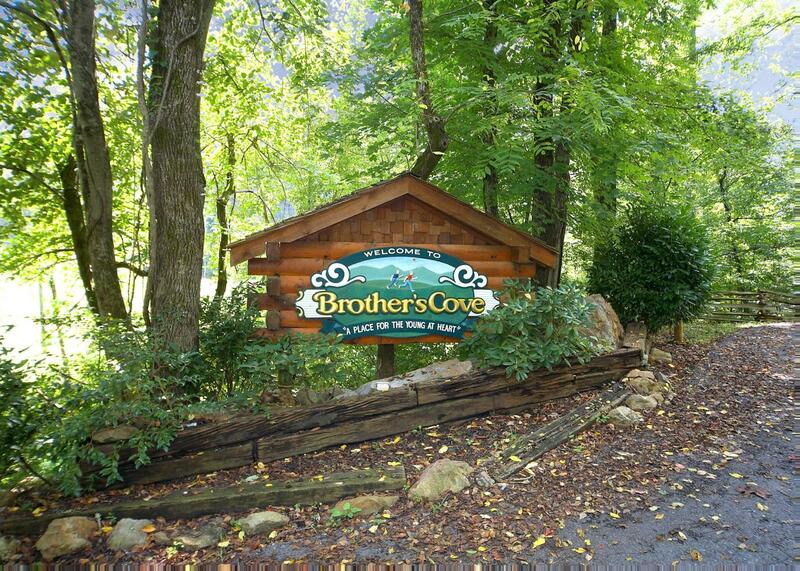 The staff at Brothers Cove was extremely friendly and helpful. I would definitely recommend this cabin as it is at the top of the mountain on the back side so you won't see much of other guests. Really gives your that secluded mountain feel. Rated 4 out of 5 by Hhenderson from Relaxing Relaxing at its best. 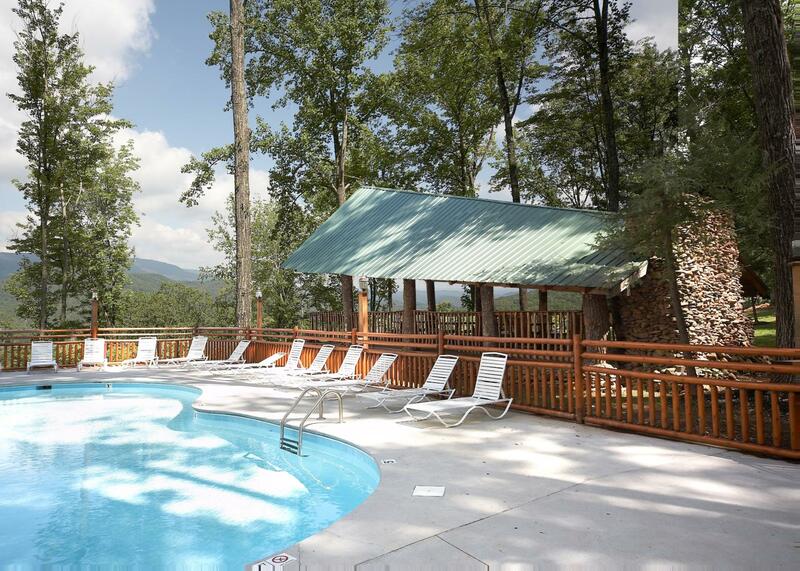 The cabin was far above what was expected, staff was very helpful, amenities where top of the line, we enjoyed sitting on the back deck watching the sun go down over the mountain range. Rated 4 out of 5 by Joshua Flaugh from great place but difficult commute to town Great looking place but has a lot of maintenance issues i.e. floor is rotting out, pipe from tub was leaking into our bedroom, ac cannot work below 71 degrees. Would recommend if these problems we're fixed. Rated 2 out of 5 by Anonymous from Disappointing Although the views were beautiful, we were disappointed with the up keep of the cabin. Day 1: Upon arrival we found a half eaten cupcake on the stairs Day 2: Woke up to find that the sink leaked and water was all over the floor and cabinet. Maintenance was called and fixed the problem quickly. Day 3: Noticed that refrigerator was not keeping items cold and freezer was not freezing food items (example- popsicles were melting). After purchasing $300 in groceries we were concerned with the refrigerator not holding the correct temperatures. We again called maintenance. They said they could find nothing wrong but when the milk is semi cold and items are thawing in the freezer there is something wrong. Day 4: Called maintenance again because dishwasher was not working correctly. Again they arrived promptly and said they had fixed it. But after washing a 2nd load of dishes they did not come out clean so we had to wash them by hand. Day 5: Up all night from smoke detector in upstairs room beeping all night. We did not call maintenance and instead changed the battery ourselves.